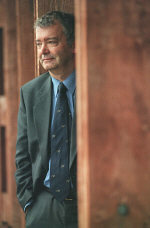 Professor Sir Tom Devine is Head of the School of History,Classics and Archaeology, Director of the Scottish Centre for Diaspora Studies and the Sir William Fraser Chair of Scottish History and Palaeography at the University of Edinburgh, generally regarded as the world's premier Chair of Scottish History. 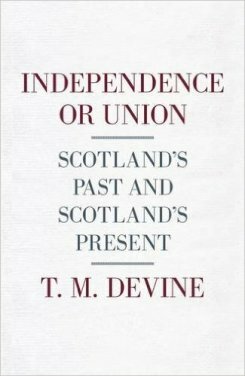 Tom Devine was educated at Strathclyde University where he graduated with first class honours in History in 1968 followed by a Ph.D and D.Litt. He rose through the academic ranks from assistant lecturer to Reader, Professor, Head of Department, Dean of the Faculty of Arts and Social Sciences and finally Deputy Principal of the University in 1992. In 1998 he accepted the Directorship of the world's first centre of advanced research in Irish and Scottish Studies at Aberdeen, which was formally inaugurated by the President of Ireland, Mary McAleese, on St. Andrew's Day, 30th November, 1999. 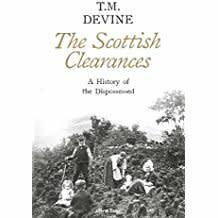 Professor Devine is the author or editor of some two dozen books on such varied topics as emigration, famine, empire, Scottish transatlantic commercial links, Irish immigrants, urban history, the Scottish Highlands, sectarianism, identity and rural social history. 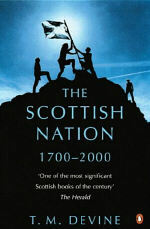 His book, The Scottish Nation (1999) became an international best-seller and, for a time in Scotland, even outsold the adventures of Harry Potter. He has won all three major prizes for Scottish historical research (Hume Brown Senior Prize, Saltire Prize and Henry Duncan Prize and Lectureship), is a Fellow of the Royal Society of Edinburgh, an Honorary Member of the Royal Irish Academy (limited to 25 scholars world-wide) and a Fellow of the British Academy, one of only five historians of Scotland elected FBA in the last hundred years. Professor Devine holds the honorary degrees of D.Litt. from the Queen's University, Belfast and the University of Abertay, Dundee (2001). In 2001, with the Noble Laureate, Sir James Black, inventor of beta-blockers, he was awarded the Royal Gold Medal, Scotland's highest academic accolade, by Her Majesty the Queen on the recommendation of the Royal Society of Edinburgh, Scotland's national academy. Tom Devine has been a Trustee of the National Museums of Scotland, member of Council of the British Academy, Convenor of the Irish-Scottish Academic Initiative (Trinity College; Queen's Belfast; Aberdeen; Strathclyde). He holds visiting Professorships across the Atlantic at the Universities of North Carolina, U.S.A. and Guelph, Canada. Currently, he is a member of the ESRC Advisory Board on Devolution and Constitutional Change, the Scottish Council on Archives, the Research Advisory Board of the Leverhulme Trust and the Secretary of State for Scotland's Advisory Panel on External Relations. 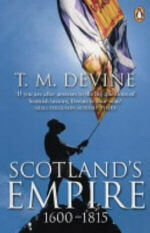 In 2005 Tom Devine was appointed OBE for services to Scottish History. 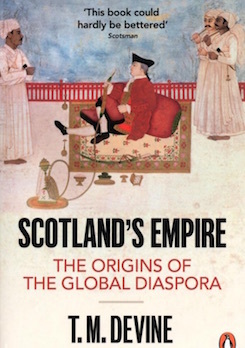 Forthcoming books include Scots : The Global Impact since 1815( Allen Lane, 2011), Scotland and the Empire(OUP 2011)and The Oxford Handbook of Modern Scottish History 1500 to the Present(OUP 2011).